Nepal is a beautiful, mountainous country with a long range of the Himalayas in its territory. 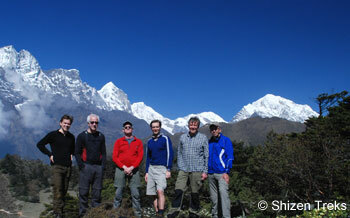 Mt Everest , the world’s highest mountain and several other peaks above 8000m are in Nepal. Nepal offers some of the world’s finest hiking vacations, there are hiking trips available for people of every ability and experience. Our Himalaya hiking vacations range from the classic hikes to Everest and Annapurna base camps and the exotic Mustang , Dolpo and Manaslu regions to the soft hikes suitable for family adventure . If you are looking for short hiking in Nepal to experience the Himalayas , its culture , flora and fauna please refer to the home page of this website to find several of them. Please note that hiking is called trekking in many parts of the world and you may find most of these trips termed as trekking in this website.